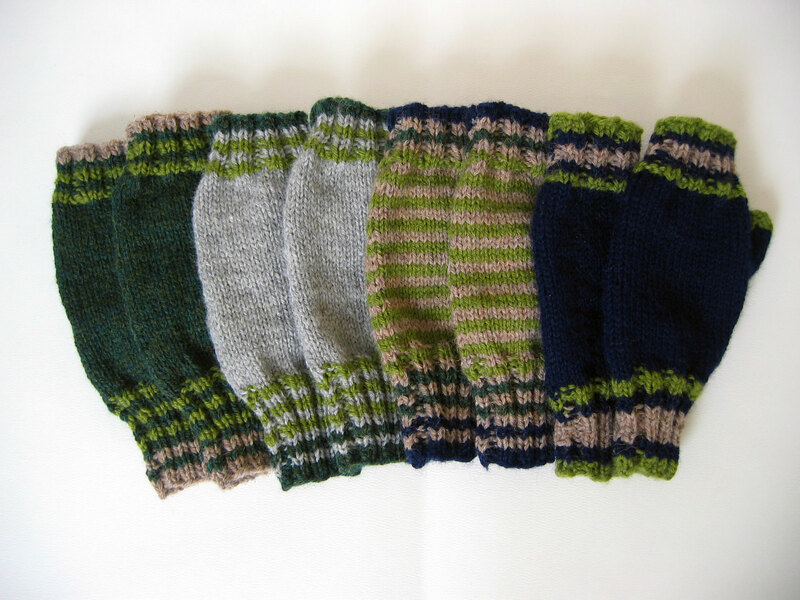 The fingerless mitts I made for the office staff are finished and gifted. The pattern was developed from a combination of a few glove, mitten, and fingerless mitt patterns I found so it’s more or less original. The tan and olive green striped ones turned out better than I imagined. 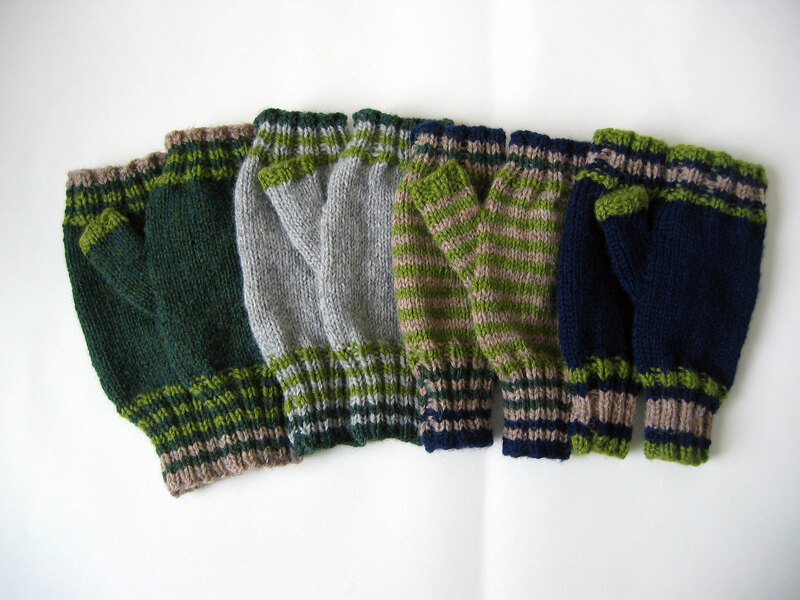 I like how the stripes go from dark to light with the navy first then the dark heather green and finally to the olive. Subtle but noticeable. 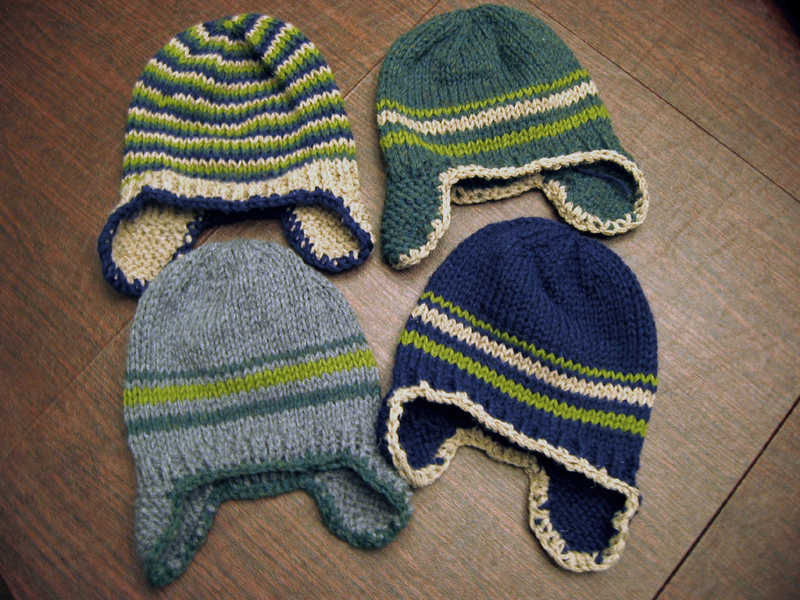 I think they all coordinate well with the hats I gifted last year. This entry was posted in Christmas, finished object, knitting and tagged Christmas, finished object, knitting by Patti_is_knittinginflashes. Bookmark the permalink. Very nice! I’m wearing my Ms. Ida’s today! Just a dusting of snow but cold. Gloves are beautiful. You did a good job.